Diana wrote in after the January 1st newsletter asking about sewing room organization and we got into a nice discussion about fabric storage. Ultimately she was looking for a way to store and USE UP tiny scraps leftover from other projects. It got me thinking. 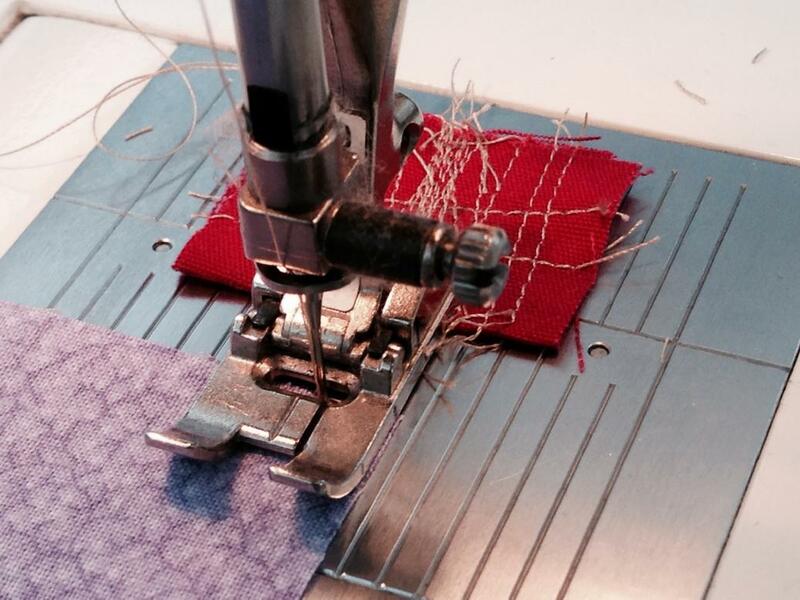 Sew through a little scrap of fabric to hold top and bottom threads out of the way. Particularly useful for machines that seemingly unthread themselves at will, make “bird nests” unless you hold the thread tails, or chew fabric edges of each new seam. I suggested that, like some quilters, she sew two quilts at once. 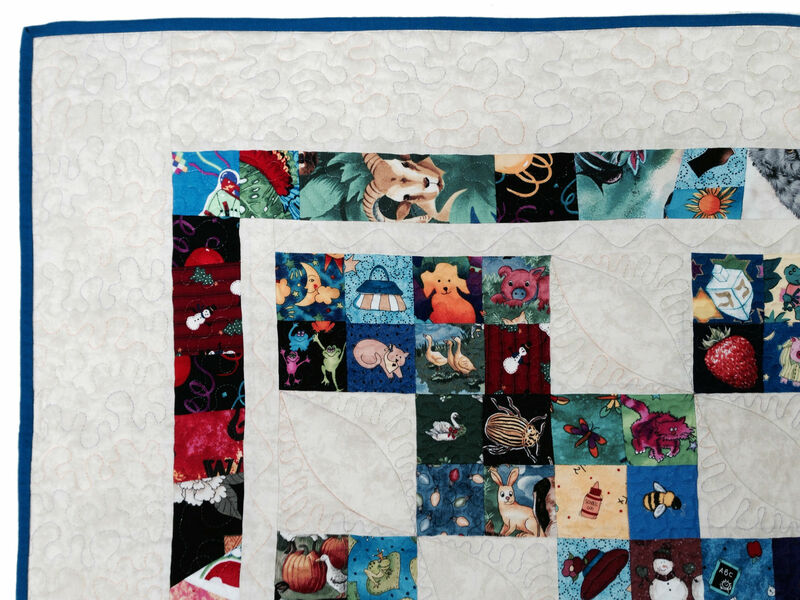 The first quilt would be the “real” quilt, and the second would be a scrap buster. It could be a miniature 9-patch cut from leftovers, for example. 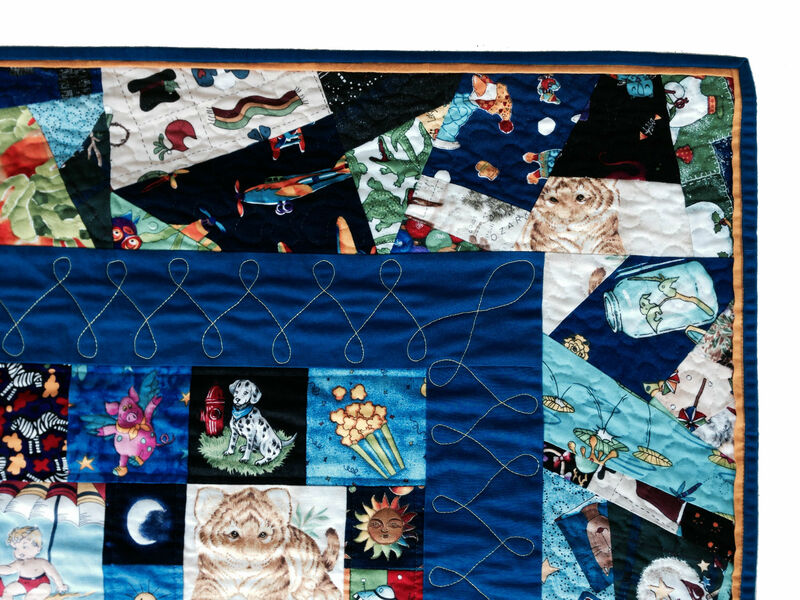 The idea would be after every seam in the “real” quilt, she’d sew a seam in the stash buster. The second quilt would anchor her threads as she sewed the first, much like a “parker” (photo at left) would. A little more time at the sewing machine, but ultimately another quilt is born. Then, last week I met Megan Null at the Santa Clarita Valley Quilt Guild. 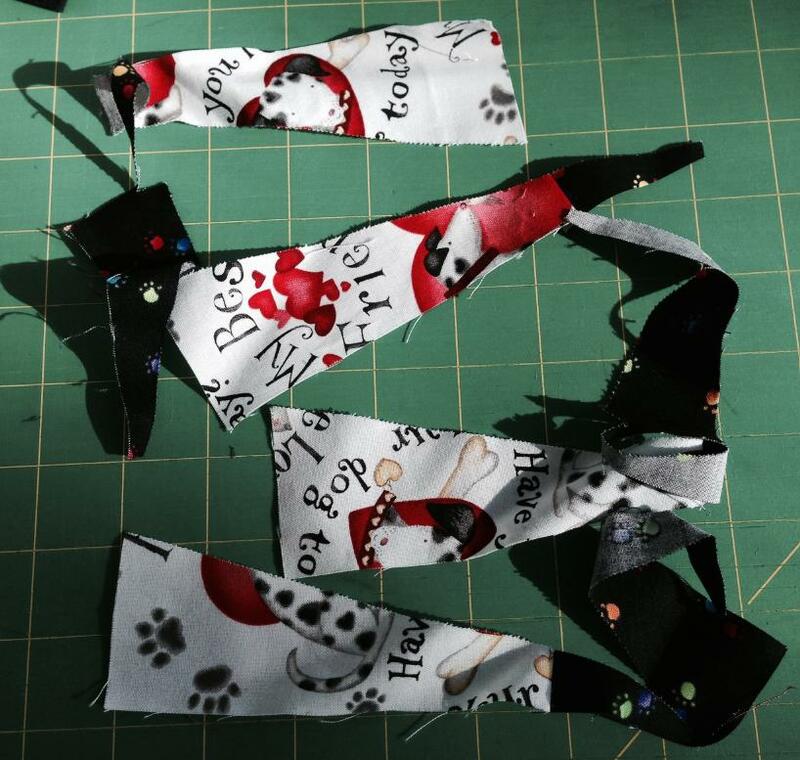 She was in my Twisted Sisters workshop and shared that she had found a way to use up the little scraps going from “chunks” to “wedges.” (Too technical here. Sorry.) These are the narrow triangular scraps I’ve been telling students to just throw away. I know. Feel free to smack me upside the head next time you see me. Well, Megan got me thinking . (All this thinking!) 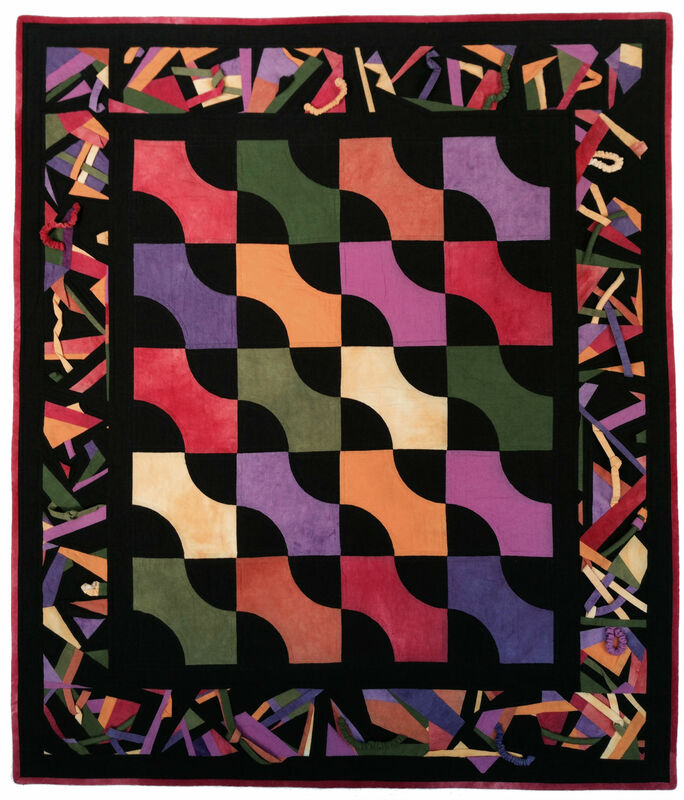 Back in the 80’s I had made a quilt with my hand-dyed fabric and didn’t want to pitch the scraps. Instead, I crazy patched them together for a border. I also added tubes (empty, stuffed, and elasticized) to add some dimensional interest. Because of the border, I called the quilt “Confetti” (left). Click the thumbnail for a close up of the border. I used the technique again in Picture Play Quilts, calling it O.T.F. Patchwork (Off The Floor Patchwork). See pages 12-13. This time I didn’t want to throw away scraps leftover from fussy cutting conversational fabrics. Click the pictures below. 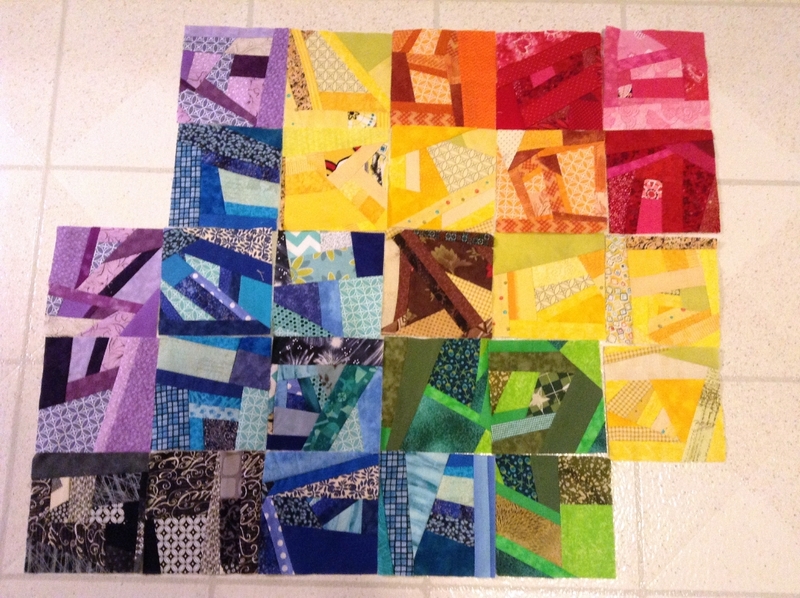 And here’s the challenge: Make a Crumb Quilt! 1. It has to be completed by the end of 2014. Send me a photograph so I can share your work online. 2. Crumb pieces can be any size. 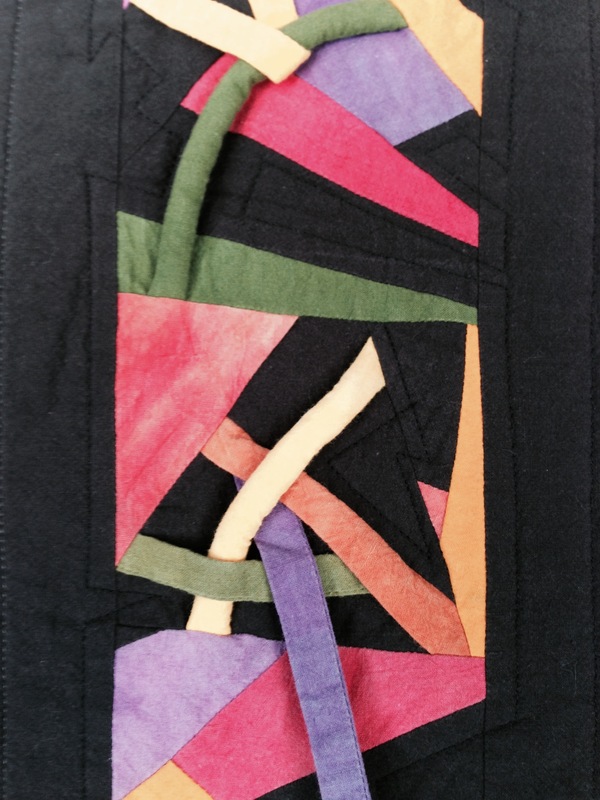 They can be the focus of the entire quilt, a design element, or part of the back. That’s it. Hit the comment link and let everyone know you accept the challenge. Let’s see where this takes us!